There are many first-person-shooters on Google Play and iTunes that you can download to play on your smartphone or tablet. However, only a few titles really stand out in this crowded genre. 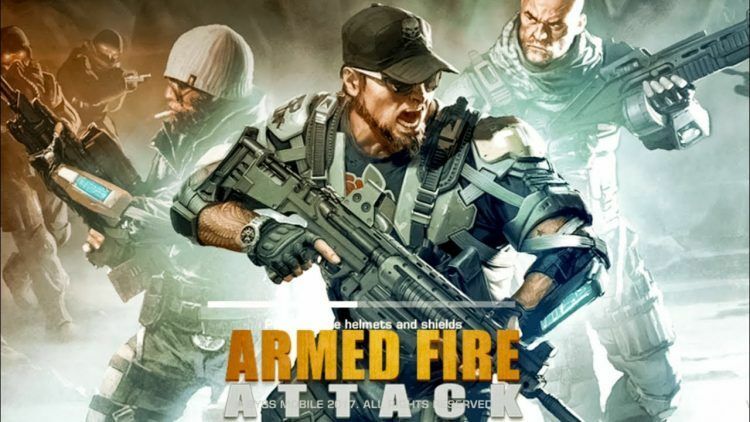 Armed Fire Attack is one such FPS that will give you a great gaming experience. Your code name for missions is major-gun. He is your main character and a Special Forces soldier, who despite having a bit of an attitude is very good at what he does. Witty statements from enemies pop-up as comic-style captions during missions, which makes the game fun to play. Heart pumping music and voiceovers will also keep you at the edge of your seat as you progress through the missions. And, the best part is you can play Armed Fire Attack on PC as well to experience the game on a larger screen. Unlike other games that become boring the more you play, Armed Fire Attack keeps things interesting by introducing new game modes gradually. The primary missions take you through the main storyline. You have to defeat the boss to unlock the next stage. Mad Dog is the big boss opponent in the first stage. He is under good protection and you have to kill swarms of his cronies before getting to him. Challenge missions provide you with a new weapon to try out. Other modes you will unlock as the game progresses include Shooting Range, PvP, Sniper, Special Ops, and Survival. From rescuing hostages and protecting allies, to reaching a kill target, the game modes provide plenty of mission goals to keep you going. When it comes to weapons, Armed Fire Attack does not disappoint. There are five weapon classes, namely assault rifles, shotguns, heavy rifles, sniper rifles, and pistols. You are free to choose any available weapon before heading to missions. A knife is also available as your secondary weapon to take out enemies who get too close. Using the gold earned from your completed missions, you can improve fire rate, clip size, reload time, and accuracy for all weapons and customize them with new skins. Sometimes many enemies can ambush you all at once. If you are outgunned, take out multiple targets at once. You can do this by hurling a hand grenade at your opponents. Alternatively, shoot at flammable barrels. That will trigger an explosion that will incapacitate anyone nearby. At the end of a mission, a screen pops up with a summary of your rewards and performance stats. You will also see a button with a video icon. Tapping on it will stream a video advertisement and double your gold reward. Headshots increase your kill bonus. In addition, all it takes is one bullet to the head to completely take out an enemy. Therefore, take headshots whenever possible. This will save on ammo, cut back on reload, and increase your gold earnings. For the first one week after installing the Armed Fire Attack on PC or mobile, you can claim a daily reward. This single gift keeps changing every day. It can include gold, eagles, grenades, one free rifle or a medkit. All you have to do is log in and grab the daily reward. In addition, you will be able to open a basic crate for free every four hours. It can contain supplies like grenades, medkits, adrenaline syringes, and eagle coins for opening special crates and weapon chests. The best way to start missions is from your ‘daily tasks’ section. Completing the tasks assigned to you each day will earn you a bonus reward. Go to the search box in Bluestacks and type “Armed Fire Attack” without the quotes, of course. That is it! You can now enjoy your freshly installed copy of “Armed Fire Attack” on your favorite PC!